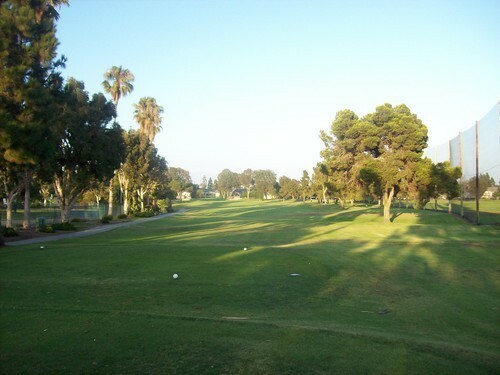 It’s been several years since I played this course. I used to play it a lot back in the day. I worked right down the street, so some co-workers and I would go out at least once a month to play on a Friday afternoon. 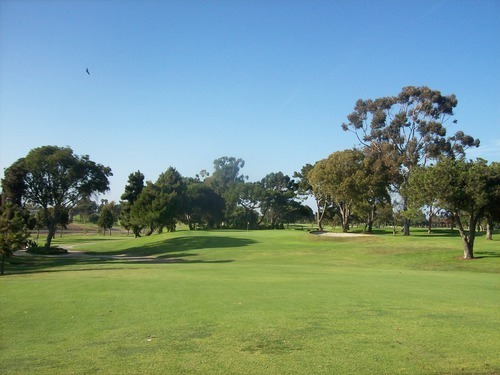 I still go out to Costa Mesa once or twice a year for an after work evening round during the week, but I usually end up playing the smaller Mesa Linda course. The pace of play is generally better and I’m likely to get more holes in (if not all 18) before dark during the summer months. Yesterday, I was in Costa Mesa after work because I had to go to the DMV. I got out of there relatively quickly (by the way, if you need to go to the DMV and don’t make an appointment, you are absolutely insane). 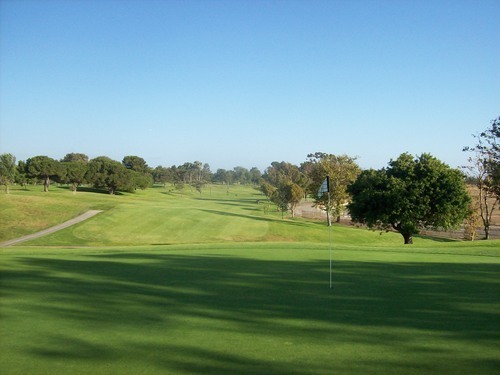 So, I headed over to Costa Mesa Country Club. Even though they get a lot of play here, it’s generally never hard to get out on either course in the afternoon. I chose to play Los Lagos yesterday just for a change of pace. At just $16 with their super twilight walking rate, it’s a tough deal to beat. I headed right out to the first tee and another single came out to join me. The first few holes went smoothly and then we caught up to all the groups. For whatever reason, the par-3 4th hole here is always a bottleneck. On really busy days, I’ve seen as many as six groups waiting on that tee box! Yesterday, there were three including us and it was very slow going the rest of the front nine. The long par-3 7th is also usually a wait, as well, and yesterday was no exception. By the time I made the turn, things started to thin out a bit. Still, I knew there was no way I’d finish before dark. The 12th hole is an ideal turnaround point as it’s relatively close to the clubhouse, so I stopped after that one and called it a night. 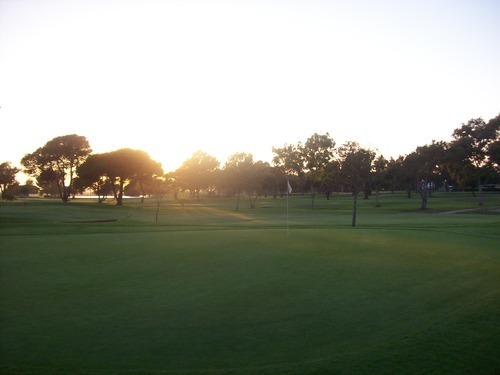 Otherwise, I would have been stuck quite far away from the clubhouse when it got dark. If I had a cart, that wouldn’t be a big deal, but when walking it makes a huge difference. 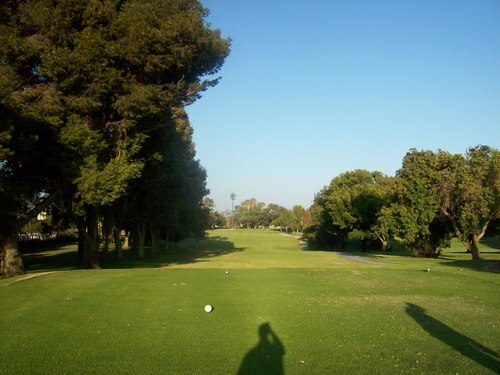 To me, the front nine on Los Lagos is the most interesting half anyway. There are some fun holes on the back nine, as well, like the par-5 14th (the hole my friends and I used to refer to as “The Beast” because it always seemed so intimidating and long back in the day). 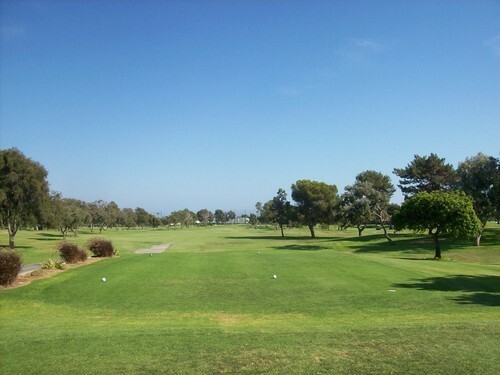 But the front nine offers a challenging and diverse set of holes. It opens up with two pretty straightforward par-5s, but then gets more fun and interesting after that. 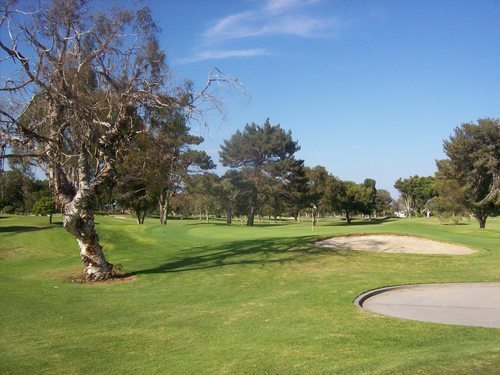 For a muni course, I’ve always enjoyed the Los Lagos layout, and despite the heavy amount of traffic both of the Costa Mesa courses get, the staff here has always done a good job of keeping them in nice shape. The greens are usually great and that was true yesterday. They were a bit bumpy that late in the day as expected, but they were firmer and quicker than usual as the course is preparing for the big Men’s City Championship tournament this weekend. 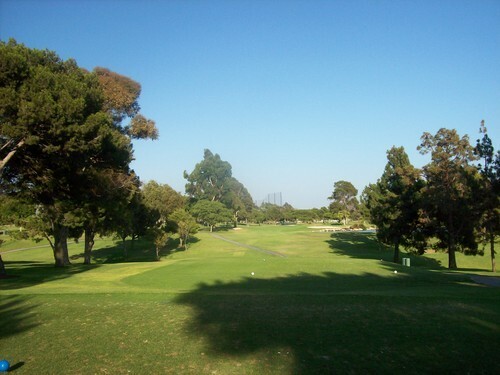 The fairways and rough areas were about average in my experiences here. 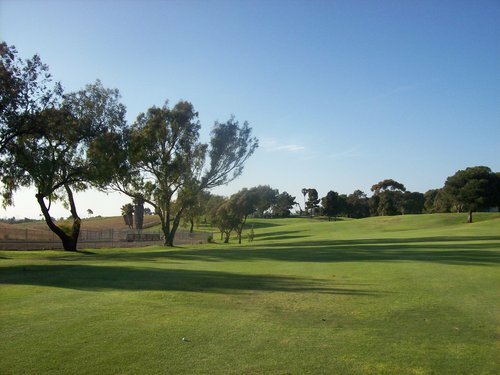 Plenty of bad patches and bare spots, but mostly good and playable with thick kikuyu grass. The bunkers looked fantastic. I didn’t find one until the 10th hole. It felt a little firm under the surface, but the sand coverage was nice overall and the quality of the sand was as good as I can ever remember here. 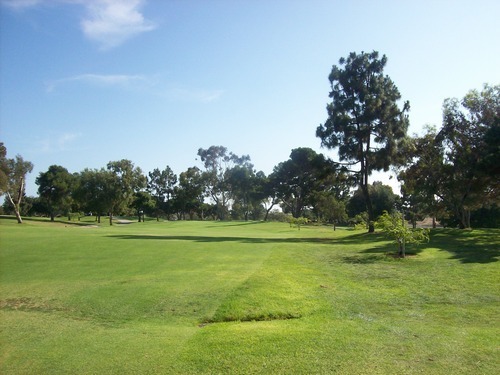 For the price and convenience, there’s not a better deal in Orange County than Costa Mesa Country Club. 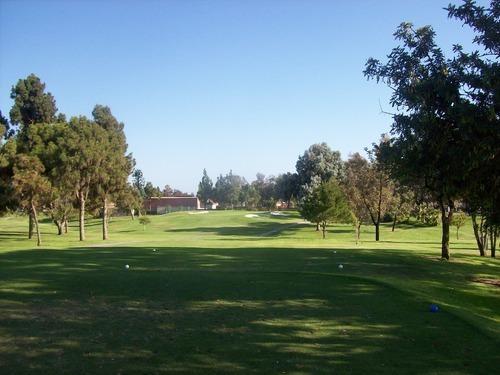 Both courses are fun and offer their own unique challenges. 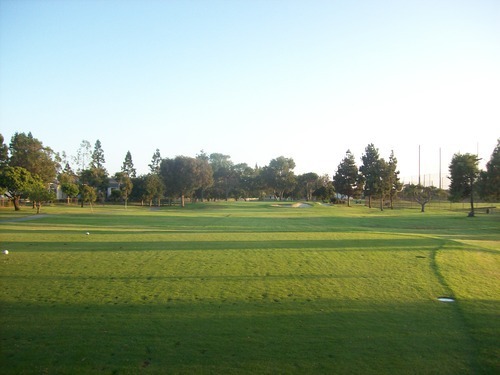 Longer hitters and more experienced golfers will generally prefer the more “traditional” length of Los Lagos. Mesa Linda is well suited for beginners and seniors because of it’s short length. However, it’s a very fun layout and much more challenging than you think. 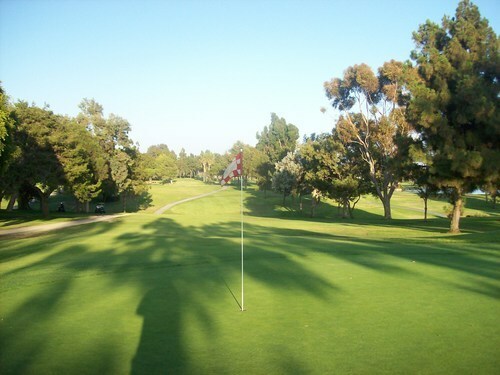 The greens are small and feature some crazy undulation that will test all of your patience and short game skills. 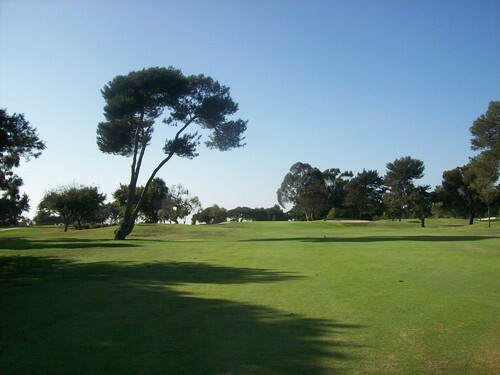 If not for the crowds and slow play you generally will encounter here, I would come to Costa Mesa even more often during the week. 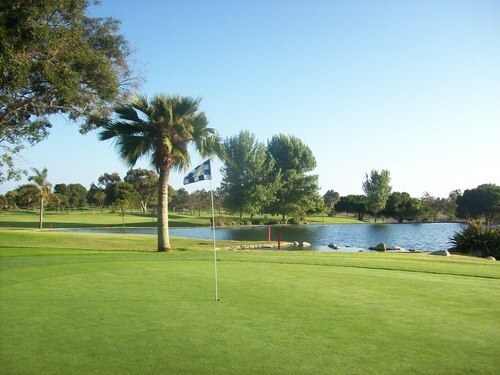 It’s still the course of choice when I do head out for some after work play, but Los Lagos always ends up being just too much waiting around to be as relaxing and enjoyable as it should be at that time of day.